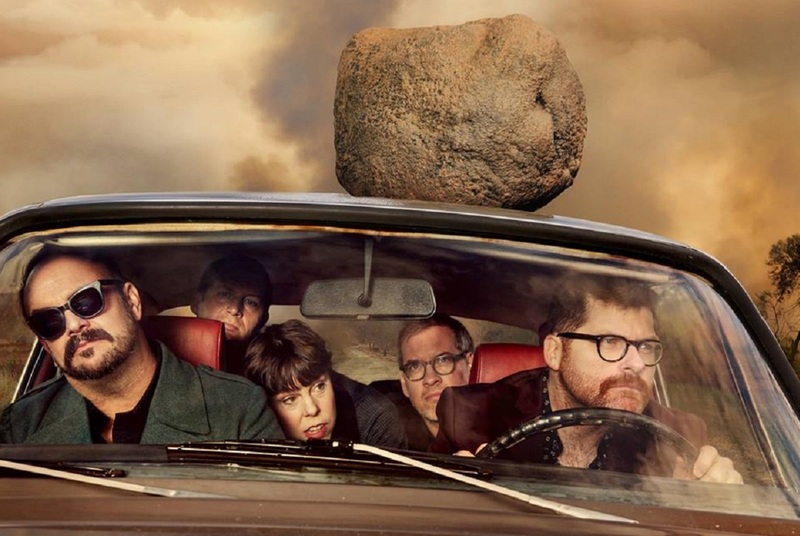 As The Decemberists announce a UK tour Getintothis’ Banjo admires the literate storytelling on the band’s new album. It is quite refreshing, in an age of strategic marketing, social media campaigns and mailing list overload, to find a band who are prepared to go quietly on with the business of recording and releasing music and playing live dates. But this is how The Decemberists operate. There have been a few tweets over the last few months, but mostly to let people know about other artists’ gigs and events. And now, without fanfare, The Decemberists have released their new album, I’ll Be Your Girl. A look at their website informs us of a whole slew of live shows, including a UK tour with a date at Manchester’s Albert Hall on 11 November. The first track from the new record I’ll Be Your Girl previewed was Severed, which starts off in a most un-Decemberists style, with a repeating electronic riff. Drums join in, followed closely by guitar, but it isn’t until Colin Meloy’s vocals kick in that the track is really recognisable as a Decemberists song. Album opener Once in my Life starts the album in a more traditional way, but still with more of a keyboard driven sound than we are used to. Lyrically, Meloy is on melancholy form, singing ‘Oh, for once in my life, could just something go, could just something go right‘. But his fighting spirit is never far away, and the track finishes with a line that sums up their strength and determination, ‘I could wait for hours, I could wait and never fall down’. This line resonates as The Decemberists have, for a number of years now, seemed one lucky break away from U2 levels of superstardom. They certainly have the songs and the skills for it. Maybe I’ll Be Your Girl is the album that tips them over the edge. Sucker’s Prayer is an instant classic and an easy earworm. It sounds custom made to be sung back to the band at festival headline slots, with an anthemic chorus of ‘I want to love somebody but I don’t know how’. All Rolling Stones swagger and groove, one listen to this song and it will be etched on your mind for the rest of the year. Further surprises are in store in I’ll Be Your Girl. We All Die Young is, of all things, a glam rock stomper. 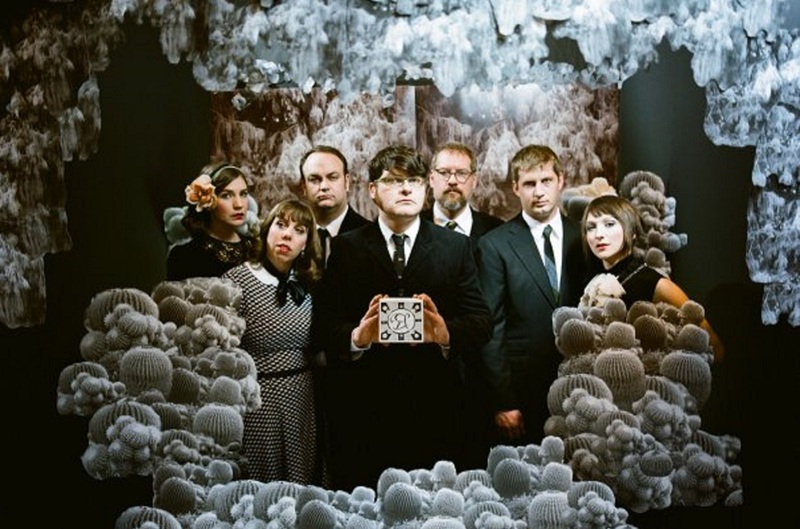 Then again, The Decemberists have long been a band who naturally refuse to fall into one genre or another, instead choosing to turn their hands to any style that caught their magpie eye. Album highlight Rusalka, Rusalka/Wild Rushes starts as a magnificent brooding ballad that mines a similar vein to The Cure‘s Same Deep Water as You before slipping into a classic Decemberists alt-folk driven second half. Meloy’s way with words and melodies must surely mark him out as one of the best songwriters of his generation. Literate story telling at its finest, this song draws the listener into a story with cinematic scope. It is no surprise that Meloy has also turned his hand to novels, creating the Wildwood series of books. See them now, just in case they finally reach the dizzying heights of popularity they deserve and pack out the arenas and stadiums of the world.